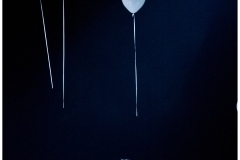 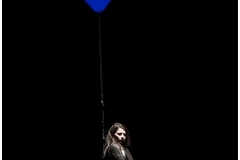 The performance, directed in the form of experiment and play, looks at the issues of loss of identity and the choice to escape from ourselves. 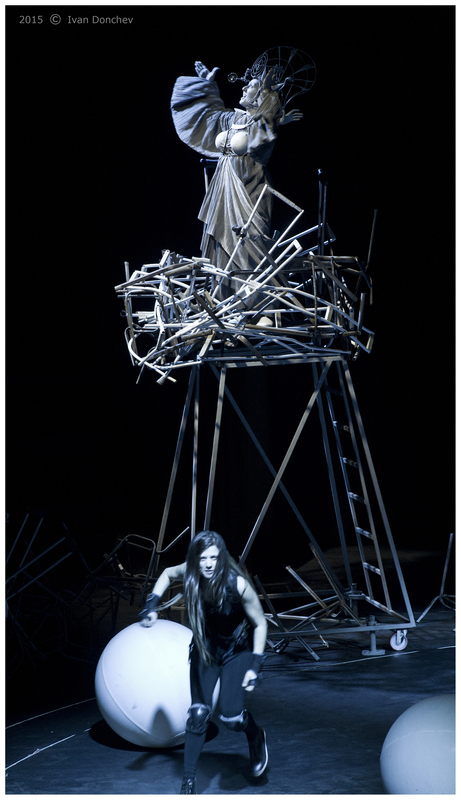 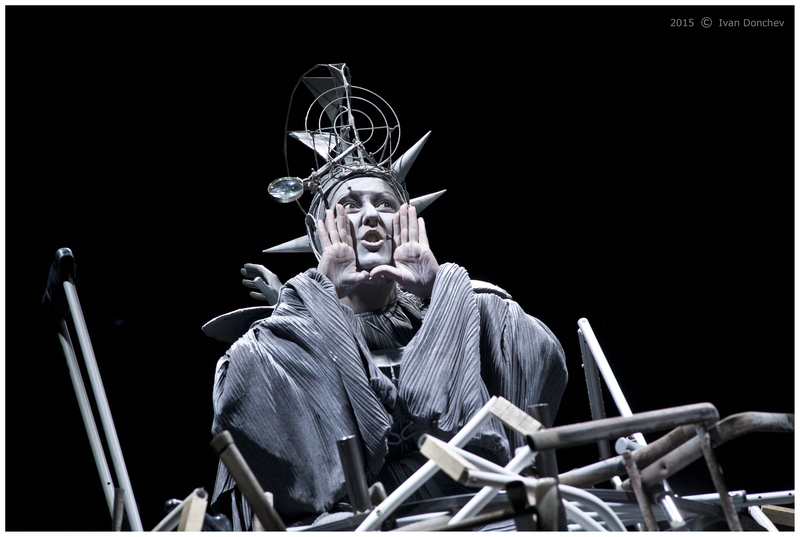 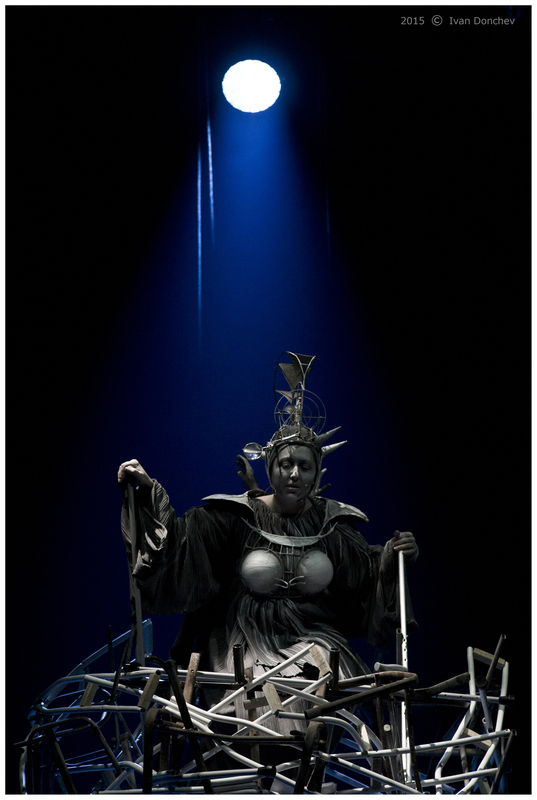 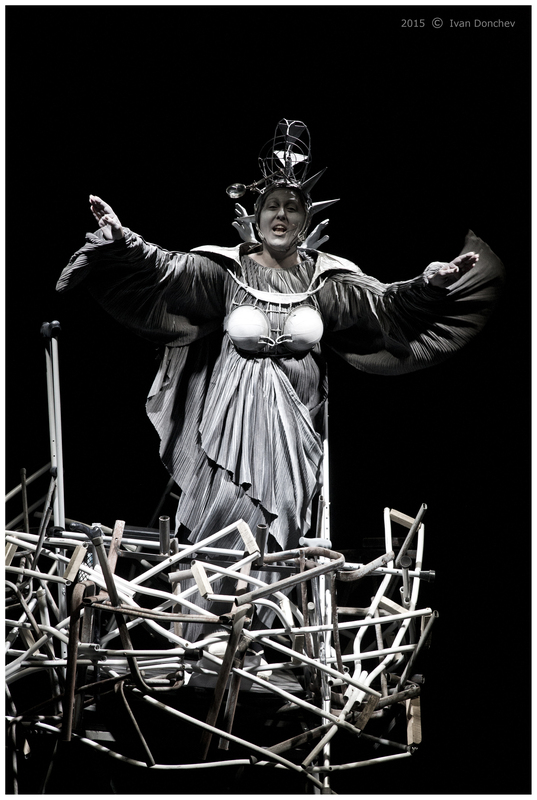 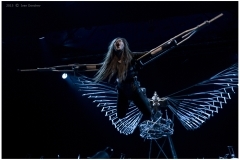 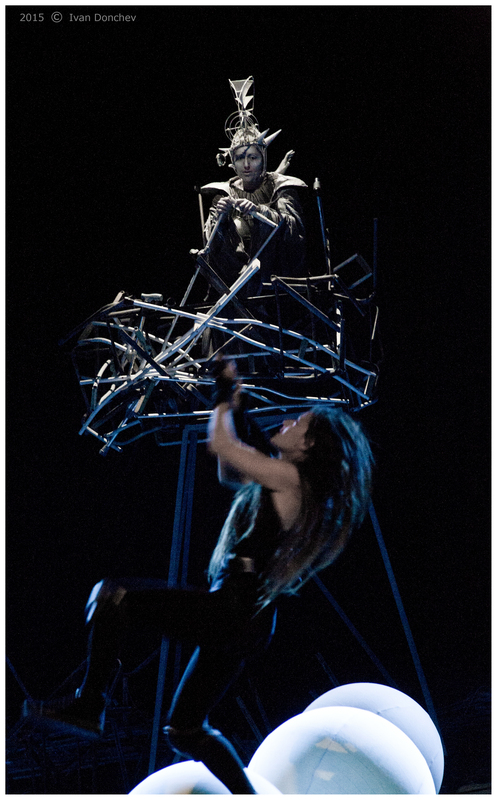 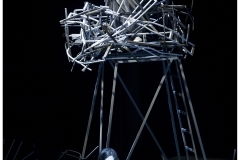 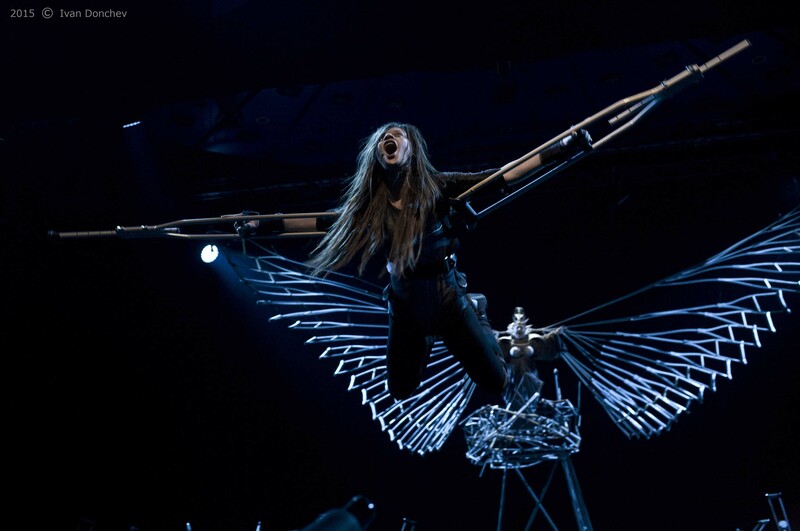 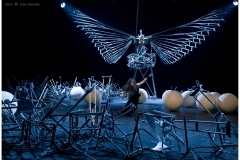 “Escapes” is spectacular show, impressive with its unique approach to the usual theatrical instruments. 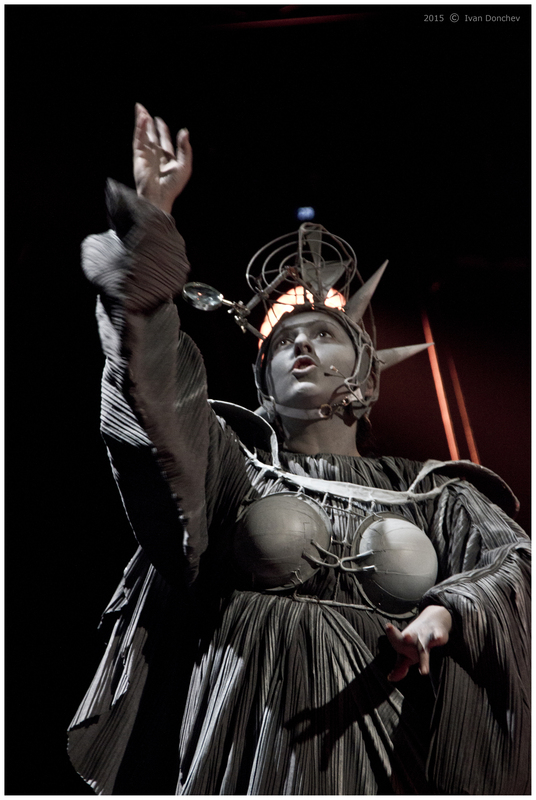 The stylish graphic background and the elegantly queer costumes create a magical space, where objects, mechanisms, human movement, puppets, and words are mixed in an unusual way. 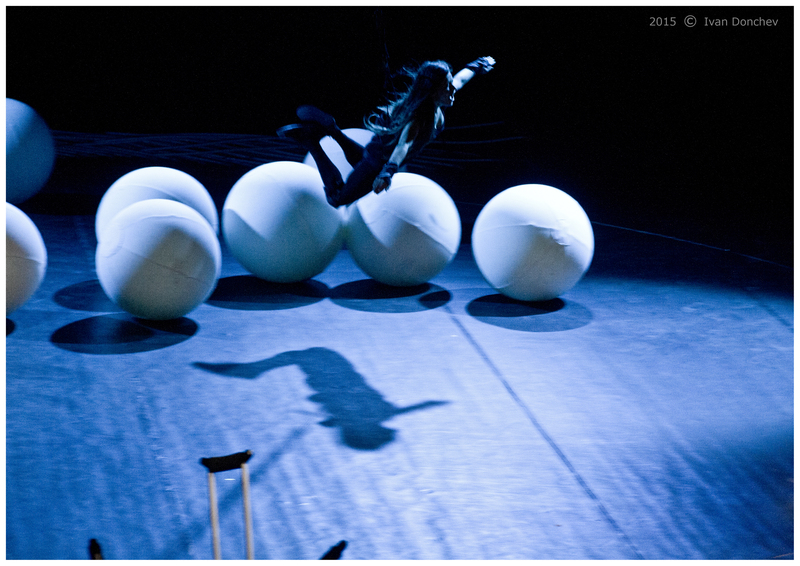 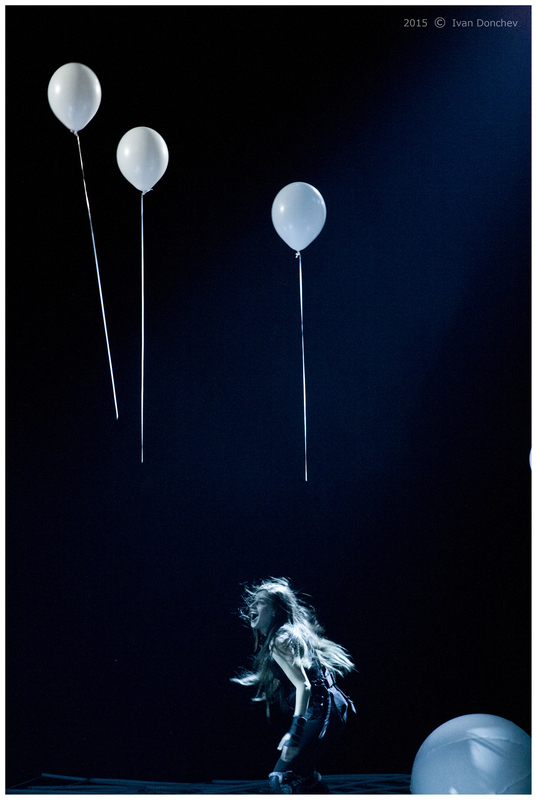 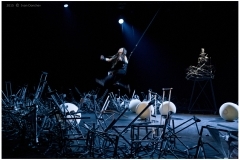 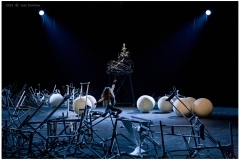 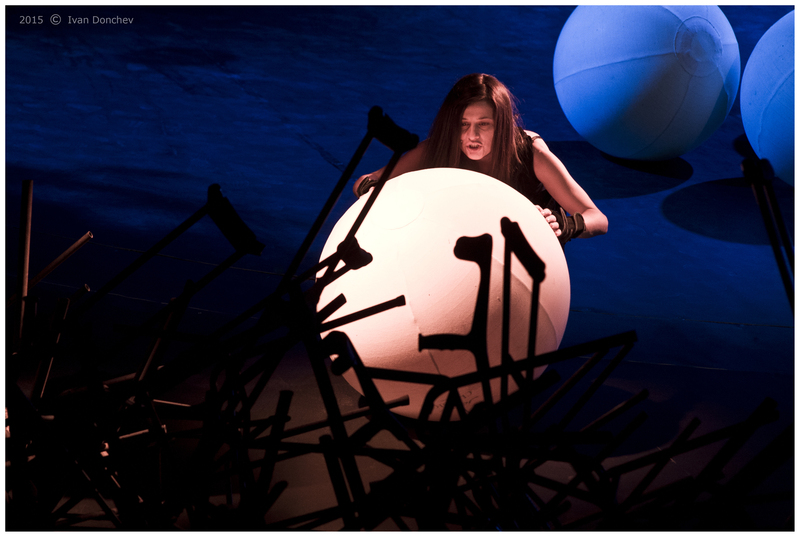 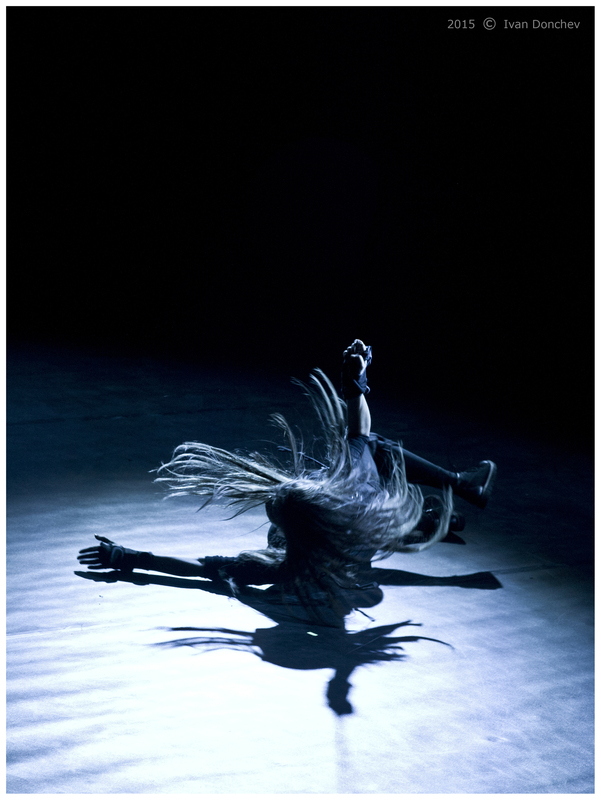 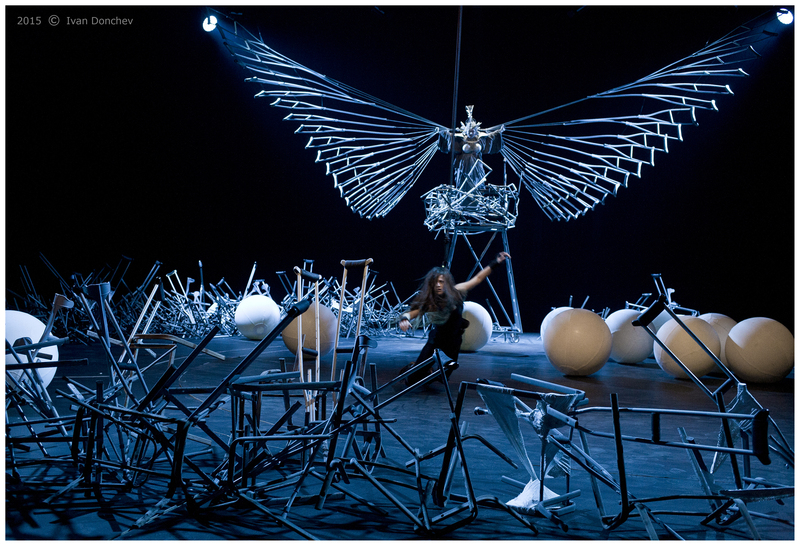 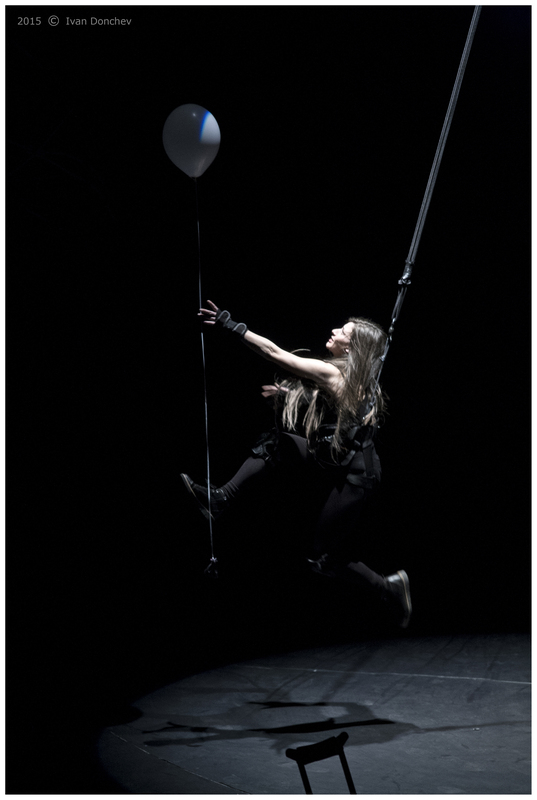 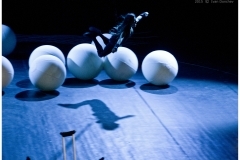 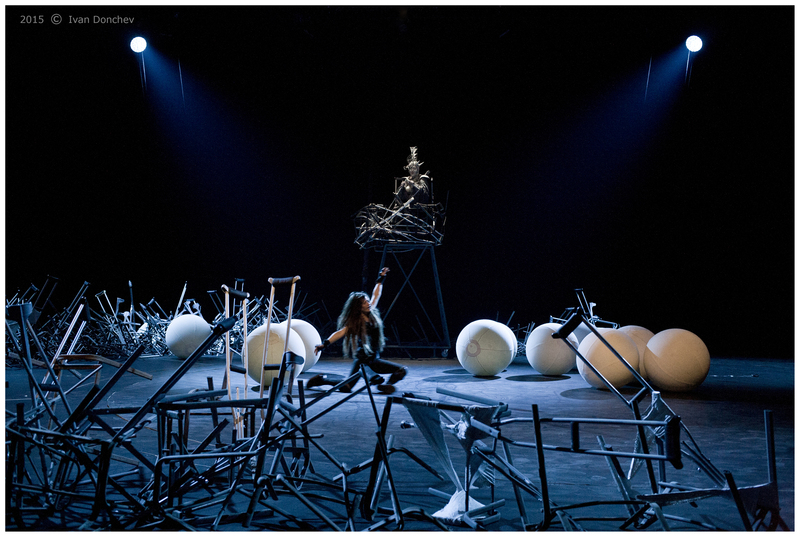 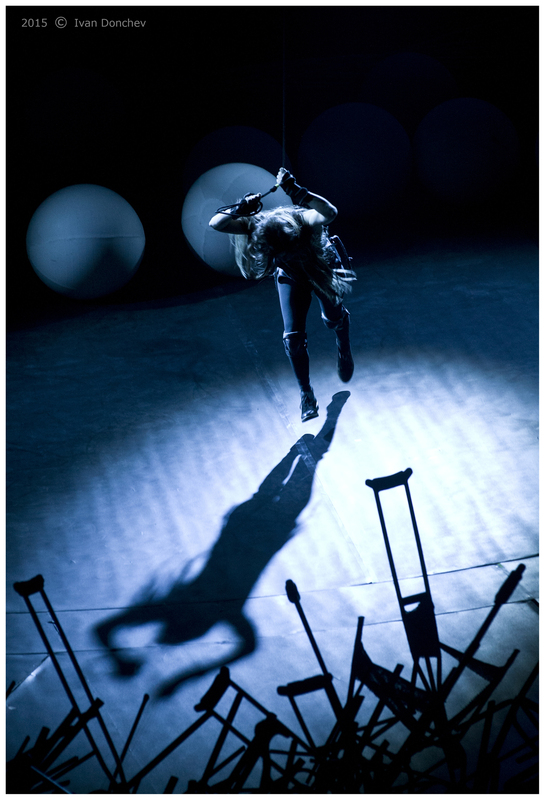 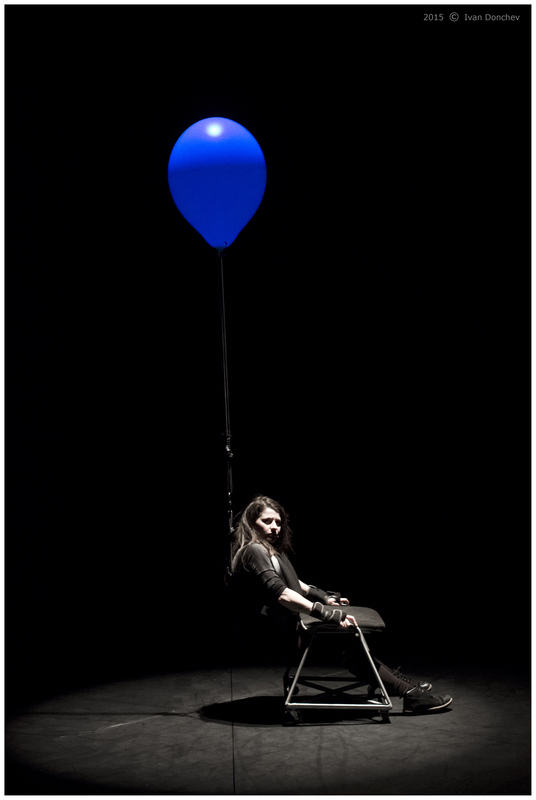 A performance that finely and skillfully use the vocabulary of the theater, dance, music and installation, reminiscent of a contemporary circus.